Got concrete? At least 5 trucks full. Home / Uncategorized / Got concrete? At least 5 trucks full. 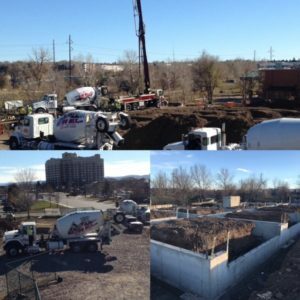 Platte 56 took control of Prince Street when 5 concrete trucks lined up to pour in phase 1. Construction is moving along at a rapid pace to keep up with sales. Phase 2 has 7 reserved homes in the first week of release.